After a month of intense action, some big-name players and past champions fell by the way side, leaving the Netherlands and Spain to face-off in the World Cup final. Spain deservedly emerged champions and added football's biggest prize to the showcase that already had European championship. At the end of it all, here's a look at the players who left a mark on the tournament. 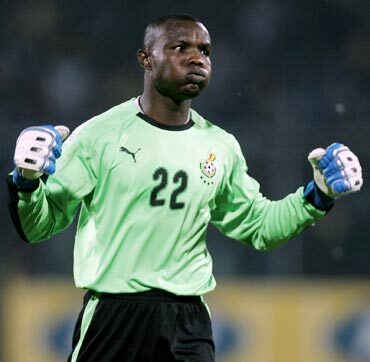 Richard Kingson (Ghana) - Every World Cup gives journeymen a chance to shine and after a largely low-key, wandering club career, Wigan Athletic's third-choice goalkeeper Kingson impressed throughout in a strong showing by Ghana. Made the most saves of any keeper at the finals. 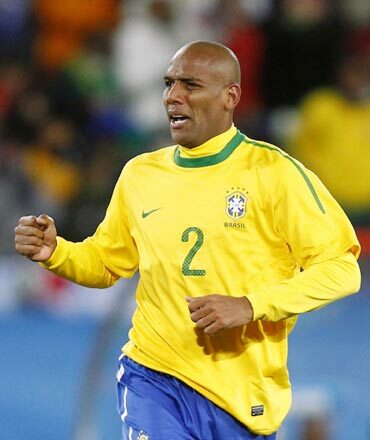 Maicon (Brazil) - In a disappointing tournament for the Brazilians, Maicon was the only player to really enhance his reputation. Energetic down the right, he will be best remembered for his goal from an extremely tight angle against North Korea. 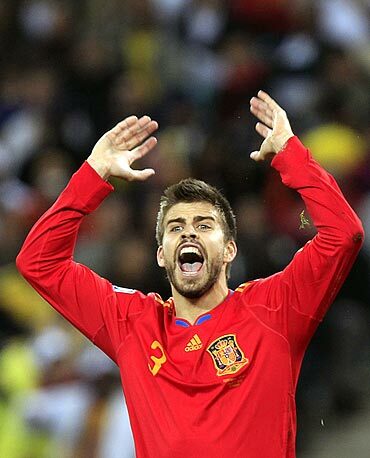 Gerard Pique (Spain) - For all the talk of Spain's passing game, a big part of their success was built on a watertight defense that conceded just two goals in the tournament and not one in the knockout stage. Pique has been rock solid. 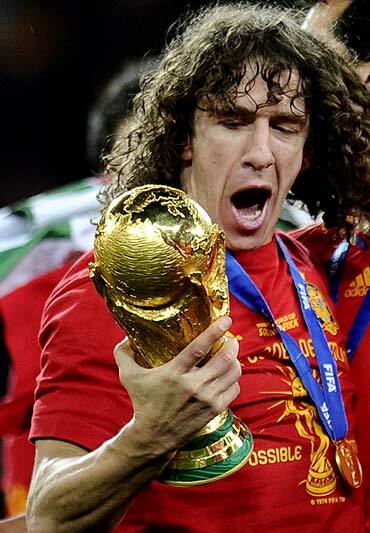 Carles Puyol (Spain) - Like Pique, Puyol has been at the heart of a miserly defense but the curly-haired center-half will be remembered at this World Cup for his thundering headed winner against Germany in the semi-final. 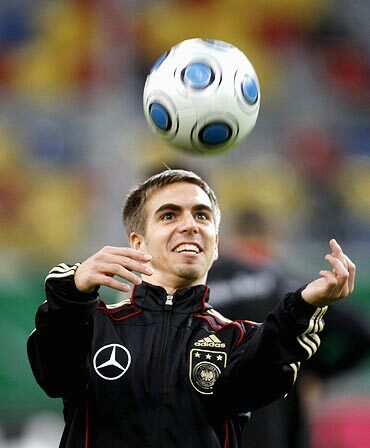 Philipp Lahm (Germany) - Took over the captaincy from the injured Michael Ballack and is reluctant to hand it back after a tournament in which his authority was hugely enhanced and his reputation boosted by some fine performances at fullback. 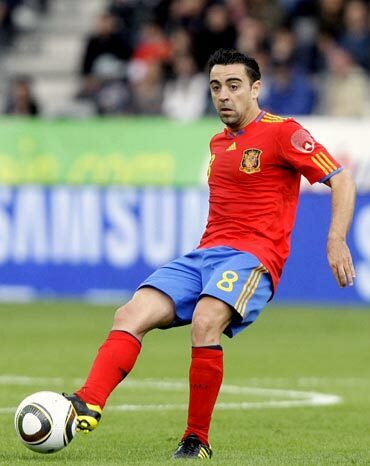 Xavi (Spain) - A sublime playmaker whose passing has been up to his usual, extremely high standards. The midfielder has been at the heart of Spain's metronomic passing game, his ball control and shielding technique are exemplary. Bastian Schweinsteiger (Germany) - If there was an award for the most transformed player Schweinsteiger would win it. Bayern Munich's Dutch coach Louis van Gaal has turned an underachieving winger into a commanding presence in central midfield. Wesley Sneijder (Netherlands) - The shaven-headed midfielder has made Real Madrid look foolish for offloading him. Cast out at the start of the season, he went on to win the Italian Cup, Serie A and Champions League. A livewire playmaker, organiser, attacking threat and grafter too. What more could a coach want? 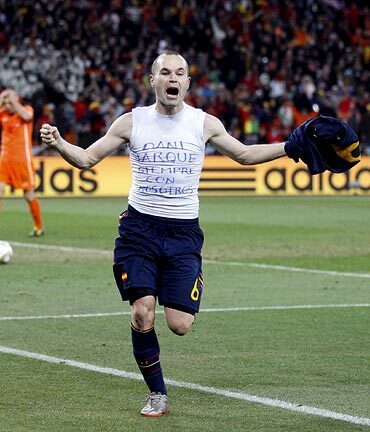 Andres Iniesta (Spain) - Spain's style of play would not be the same without the pace and trickery of the midfielder. He loves to switch wings and exploit the space his quick passing team mates tease open. A nightmare for defenses to cope with, he got a vital goal against Chile in the group stage -- and saved the best for last by scoring the winner in the final. Diego Forlan (Uruguay) - The 31-year-old, who has got better with age, won the Golden Ball for best player of the finals. Now in a deeper role, he was the main creative force and attacking threat for the best South American team at the tournament. His shooting was particularly dangerous from long range as shown by strikes from distance against South Africa in the group stage and in the semi-final defeat by Netherlands. David Villa (Spain) - Whether in a wide role supporting the main striker or down the middle as the sole forward, Villa's pace, movement, touch and eye for goal made him the biggest attacking threat at the finals in which he scored five goals. Substitutes: Manuel Neuer (Germany), Sergio Ramos (Spain), Diego Lugano (Uruguay), Giovanni van Bronckhorst (Netherlands), Arjen Robben (Netherlands), Thomas Mueller (Germany), Miroslav Klose (Germany).